QUIK-SORB underpads give the user the comfort of cloth . . . with economy of a reusable! 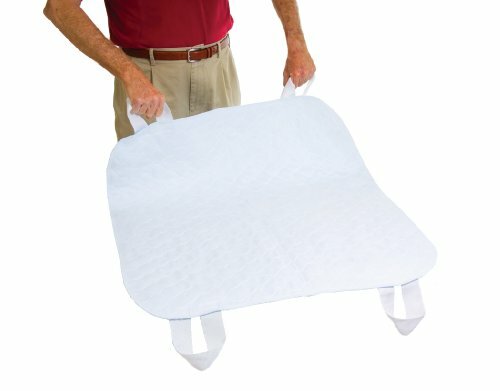 C2400 pad features a Birdseye 100% cotton top sheet as well as a waterproof back and handle for patient transfer. All pads contain heavyweight 8 oz. liquidfill absorbent center and is perfect for cars, sofas, and beds. Pads are washable up to 300 times and come complete with instructions for washing and drying. All Quik-Sorb Underpads Are Latex Free.